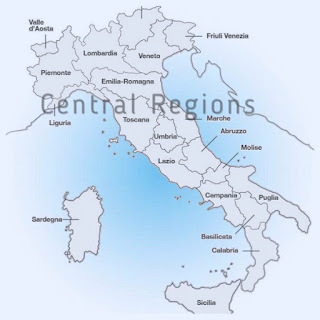 The main wine regions of Central Italy include Abruzzo, Emilia Romagna, Lazio, Le Marche, Tuscany and Umbria. 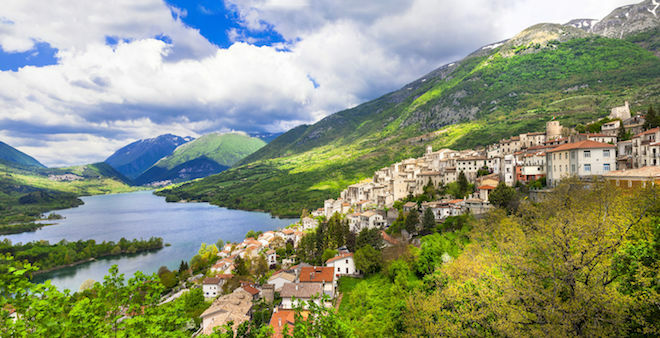 The geographical makeup of Abruzzo is quite remarkable. A rugged, mountainous region with a lengthy coastline, its lush, green landscape is scattered with national parks and forests. 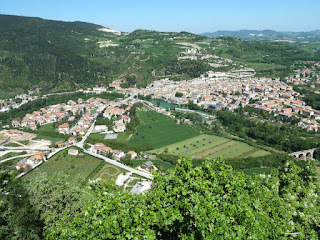 Abruzzo provides a perfect haven for grape growing. Vines flourish thanks to the terroir, the abundance of sunshine, the generous rainfall and a variable climate: warm and dry on the coast and more continental (hot in summer and cold in winter) inland. The principal grape varieties of the area are the native red Montepulciano and white Trebbiano. The dominant vine varieties are Malvasia, Lambrusco, Trebbiano, Barbera, Bonarda and Sangiovese. As the saying goes here—Eat the cheese from Parma and drink Lambrusco. 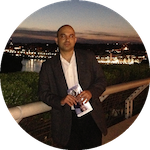 Lazio is a region in central Italy, and home to the ancient capital city of Rome. The volcanic hills provide an excellent base for viticulture thanks to the fertile and porous (well-drained) land. The type of soil rich in potassium is particularly suited to white grapes as it ensures a good balance of acidity. Although the region's reputation is mainly based on its white wines, the mainstays being Trebbiano and Malvasia di Candia, the region's red wines are beginning to gain attention; Cabernet Sauvignon and Merlot are among the choice reds. The interestingly named Est ! Est !! Est !!! which is a very popular white wine, is a native of this region made from a blend of Trebbiano and Malvasia grapes. 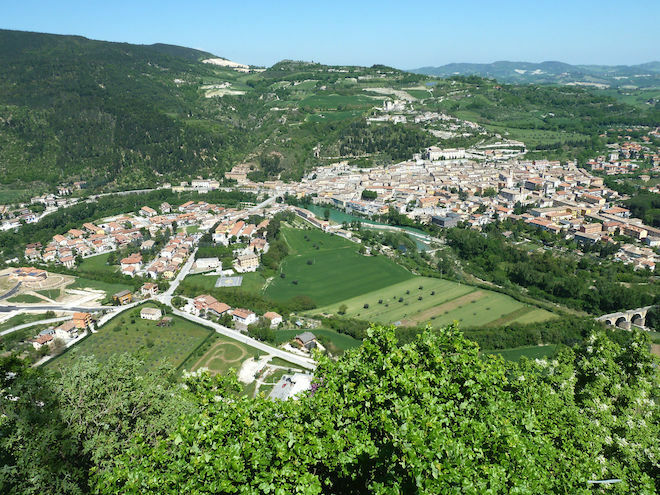 The wines from Marche may not be well known outside of Italy but visitors to the region are pleasantly surprised when they try the wine produced by many small aziendas and cantinas. The grape varieties most commonly found in this region are: Montepulciano, Sangiovese, Verdiccio, Trebbiano, Malvasia and genetic variants of the Pinot Nero (Pinot Noir), Pinot Grigio and Pinot Bianco. 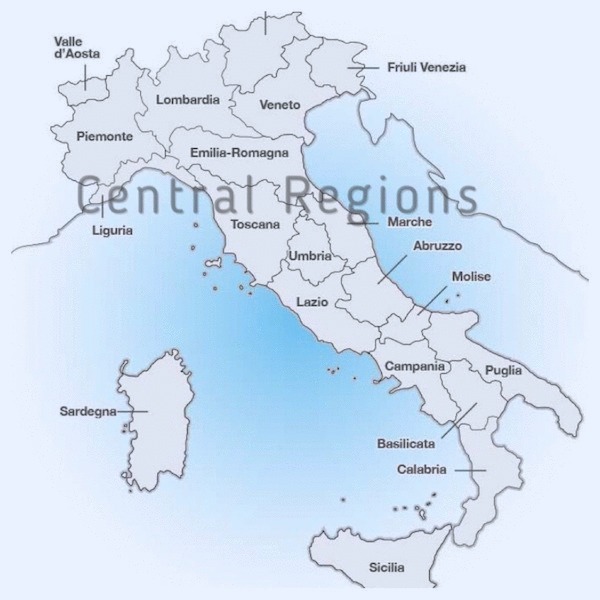 The best known white wine from this region is the Verdicchio dei Castelli di Jesi. This wine is considered as a great companion to seafood dishes. Among the red wines the standouts include Rosso Conero, Rosso Piceno and Vernaccia di Serrapetrona, a spumante (sparkling wine). 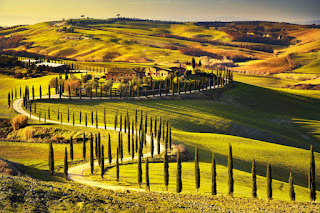 Tuscany located in central Italy is the most famous of all Italian wine regions, thanks to the romantic glamor of its endless rolling hills, cypress-lined country roads and hilltop villages. One variety that particularly thrives on these hillside vineyards is Tuscany’s signature red grape, Sangiovese. This is the primary grape used for making the Chianti wine. Vernaccia di San Gimignano is the region's best known white wine and Vin Santo a famous dessert wine made with white grapes such as Trebbiano and Malvasia. With the rise of the Super Tuscans, the most famous of which come from Bolgheri, Cabernet Sauvignon has become a prominent variety in Tuscany. Super Tuscan is a term used to describe red wines, in this region that may contain non-indigenous varieties such as Syrah, Merlot or Cabernet Sauvignon. 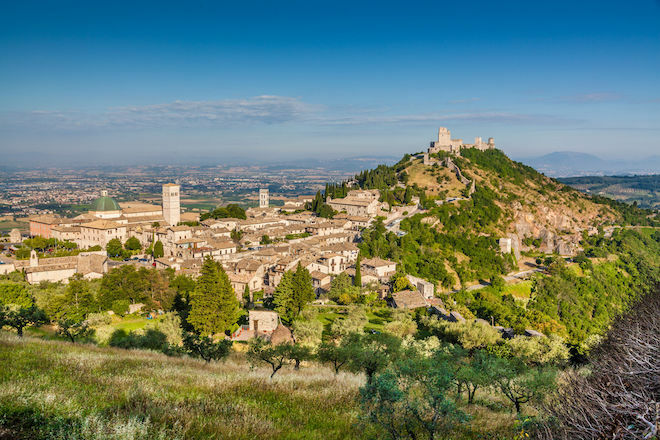 Umbria is a region in central Italy, of lush rolling hills, hilltop villages and iconic, historic towns. Its isolation and the absence of any large cities or useful ports kept the region and its wines in obscurity for generations, even though its wines are as ancient as any. The climate of Umbria is similar to that of Tuscany. 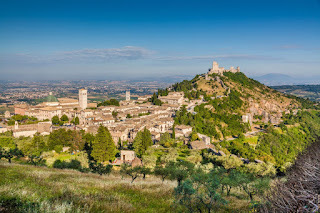 The vast number of white wines from Umbria come from the Orvieto DOC, an ancient Estrucan city. These wines are known for their crisp and delicate fruit flavors. Sangiovese, Sagrantino, Trebbiano Grechetto are the region's principal grapes, but many of the high-quality new wines are Cabernet Sauvignon, Merlot and Pinot Noir for the reds, or Chardonnay for the whites.